It’s time to give these hard-working University of Virginia employees a standing ovation for their accomplishments and commitment to UVA. This year’s winners of the Leonard W. Sandridge Outstanding Contribution Awards have moved mountains to make improvements and moved the people whose lives they have touched. They are creative problem-solvers, willing to take on “herculean” tasks, as one nominator said, with expertise, dedication and a smile. They make the lives of students, faculty, staff and patients not just easier in their spheres of influence, but better overall. The Sandridge Awards are the highest honors the University gives to its employees. 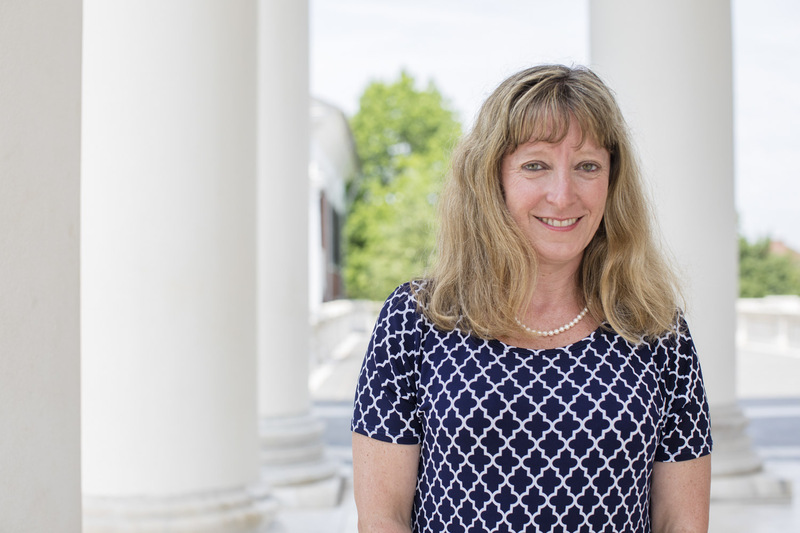 Each year, five employees from the Academic Division, five from the Medical Center and one from UVA’s College at Wise are selected from nominations made by their colleagues. The 2018 awardees were honored at a June 8 luncheon with the Board of Visitors. In addition, those from the Academic Division were recognized June 5 alongside employees who have 25-plus years of service. Health System awardees and employees with similarly long careers were honored at a dinner on Tuesday. Barry Baber, building manager for the Department of Materials Science and Engineering in the School of Engineering and Applied Science, has worked for the department for 29 years. A Charlottesville native, Baber followed in the footsteps of his father, who worked at the University for 42 years. “His efforts over the last year have been nothing short of herculean as he has managed nearly all of the MSE department logistics associated with the renovation of the MSE Building,” wrote his nominators, John R. Scully, interim chair of the materials science and engineering department, and assistant professor James T. Burns. Baber also communicated the needs of faculty and staff with UVA Facilities Management personnel and the contractor’s team. He helped organize a revised space plan for the department’s move back into the building; the addition of seven new faculty members and $9 million worth of new equipment for a nanoscale materials facility required extensive modifications. 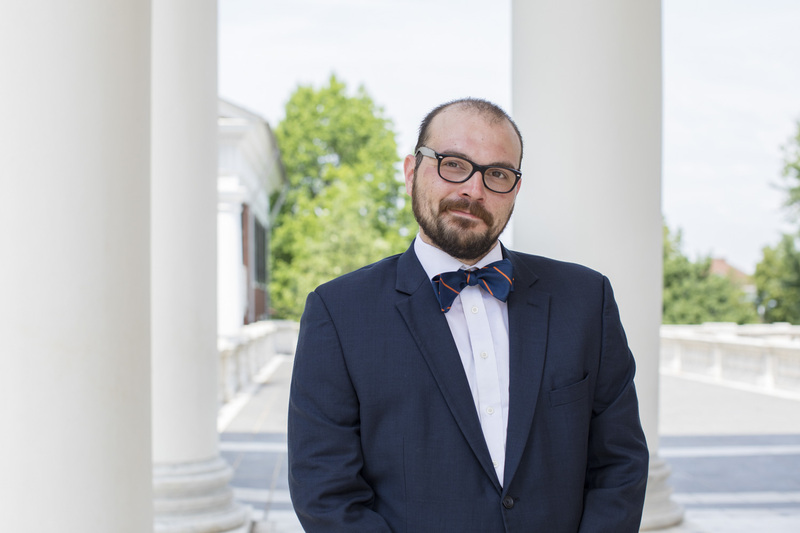 There was no better example of selfless service to the community than helping the UVA Medical Center brace for the white supremacist rally Aug. 12, said Robert Truoccolo, the emergency management coordinator who nominated Thomas Berry, director of the Health System’s Center for Emergency Management. Berry coordinated the efforts of the 140-member Incident Management Team. Berry exemplifies what it means to be an emergency manager, wrote his nominator. “In the midst of unprecedented violence and operational stresses, he rose to the challenge with purpose and compassion,” Truoccolo wrote. Berry has some training for those circumstances. A veteran of the U.S. Army for more than 20 years, his interest in emergency management started after experiencing firsthand the 9/11 terrorist attack on the Pentagon. He was subsequently assigned to the North American Aerospace Defense Command and the Department of Defense’s homeland defense command in Colorado Springs, Colorado. Berry has worked for the UVA Health System since 2007. “The UVA Health System’s Emergency Management program was challenged with developing a comprehensive, scalable patient care and security plan in response to an anticipated level of violence never before seen in the community,” Truoccolo wrote. In the weeks leading up to Aug. 12, the team met and shared its expertise, collected information and consulted with senior leaders and community partners. “Tom’s leadership and expertise were integral to navigating the troubled waters of that weekend. He is a role model not only for our Health System, but our community and profession,” his nominator wrote. One external report praised the Health System’s preparation, saying the community benefited from the crisis team’s planning and coordination with the Charlottesville Fire Department. As coordinator and preparator for introductory biology lab courses since 1984, Joanne Chaplin makes sure the three laboratory classrooms are stocked with supplies and materials every week for 33 sections of about 850 students each semester. She consistently identifies problems and offers solutions, day after day, week after week, her nominators wrote. “Moreover, she does this with a calm, upbeat and jovial attitude,” associate chair of biology Dorothy Schafer wrote. 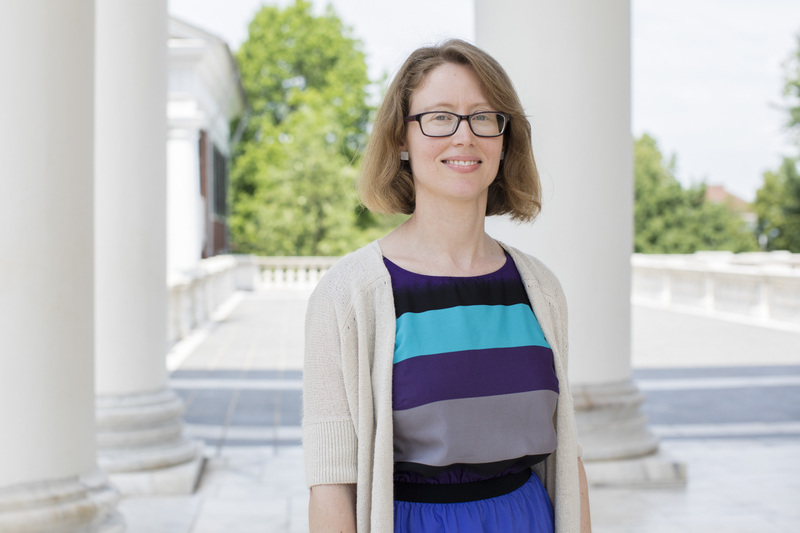 She also provides training support for “a small army” of teaching assistants, both graduate and undergraduate students, according to biology professor Claire Cronmiller, who recently served as the department’s director of undergraduate programs. When Cronmiller was considering whether to staff some lab sections with undergraduate assistants, she sought Chaplin’s advice about how to make this work successfully. Dudley is also responsible for managing much of the School of Medicine’s grant income and is adept at making sure grant requirements are met in all their detail. “Martha cares about her team and their continuous learning. She provides training, guidance and exposure to new HR-related tasks to four teams. She provides her team members with professional growth, support and development opportunities,” her nominators wrote. As an example of describing her kindness and compassion toward others, they mentioned that she helped worked out the details for one researcher to spend as much time as possible with his dying spouse, gave support to his children and found out how to handle international interment. Dudley’s counsel and aid made this painful process manageable, her nominators wrote. Harman said he was overwhelmed with responses from students and faculty supporting her nomination for the Sandridge Award. Last year the Seven Society recognized Knight at a special dinner. “Parents have even contacted the president of the University explicitly to commend Ms. Knight’s performance,” Harman wrote with the added emphasis. “Whether it’s information about our academic programs, room scheduling, or faculty that a visitor seeks, or a parking pass, fixing a broken pipe, unlocking a classroom that is needed, or a student needing a calm, reassuring voice to de-escalate a conflict or provide comfort in a crisis, Cindy will personally provide assistance or will reach out to her extensive network in the University to find a solution. Putting students first, she is students’ sympathetic confidante and tireless advocate. Dustin Money’s expertise as an extracorporeal membrane oxygenation specialist came into play not long ago in the Medical Center’s Pediatric Intensive Care Unit. He realized a patient’s situation was urgent and quickly called in a surgeon, even though it was the middle of the night. When the surgical team went into action, they found a massive clot on the heart that was causing cardiac tamponade, a serious medical condition in which blood or fluids fill the space between the sac that encases the heart and the heart muscle. “Dustin’s experience, proactivity and commitment to our patients saved this child’s life,” wrote the group of coworkers who nominated him. Extracorporeal membrane oxygenation, known in the hospital as ECMO (or ECLS for life support), consists of equipment similar to a heart-lung machine and provides advanced life support for patients with certain serious heart and/or lung conditions. 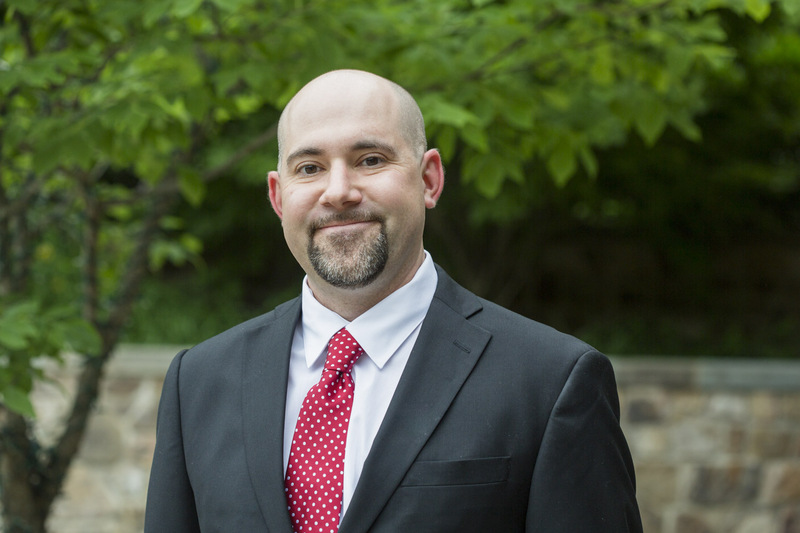 Money started out as a respiratory therapist at UVA about 10 years ago and trained in extracorporeal membrane oxygenation beginning in 2014, after he witnessed another patient near death who recovered with this therapy. He assisted Dr. Irving Kron and surgical residents in UVA’s first ex-vivo lung transplant and served as a crucial resource in caring for that patient. He teaches a thoracic cardiovascular intensive care core class that was initially only open to new graduate nurses, but is now offered to any related health care practitioners. He also works part-time as a research assistant and has published or co-written several papers. 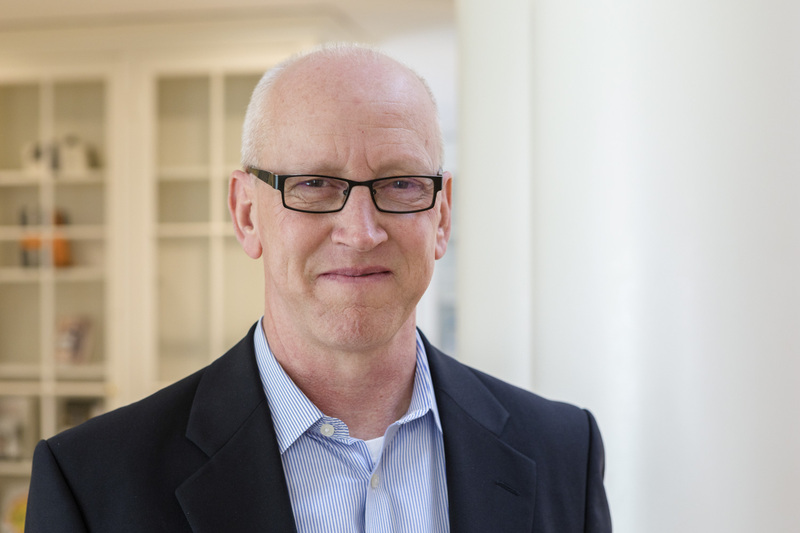 In addition, he serves on several hospital committees dedicated to improving patient care and evidence-based research. 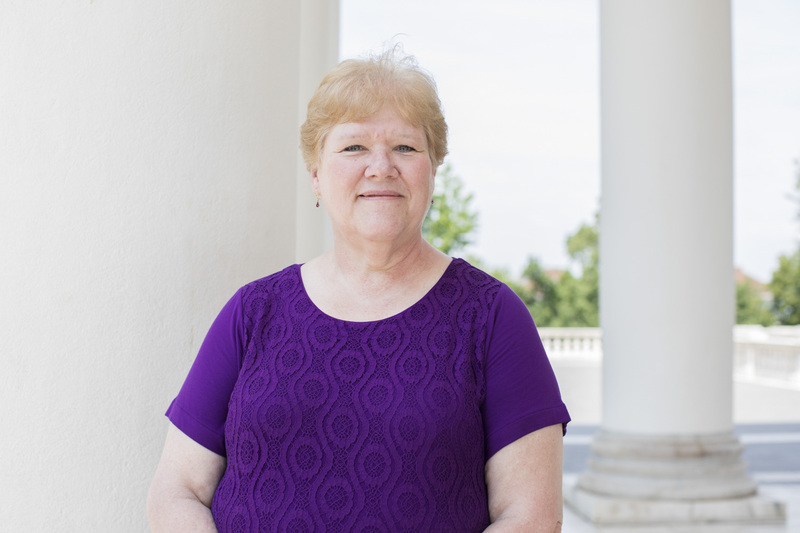 For UVA students, Karen Painter is there to help. 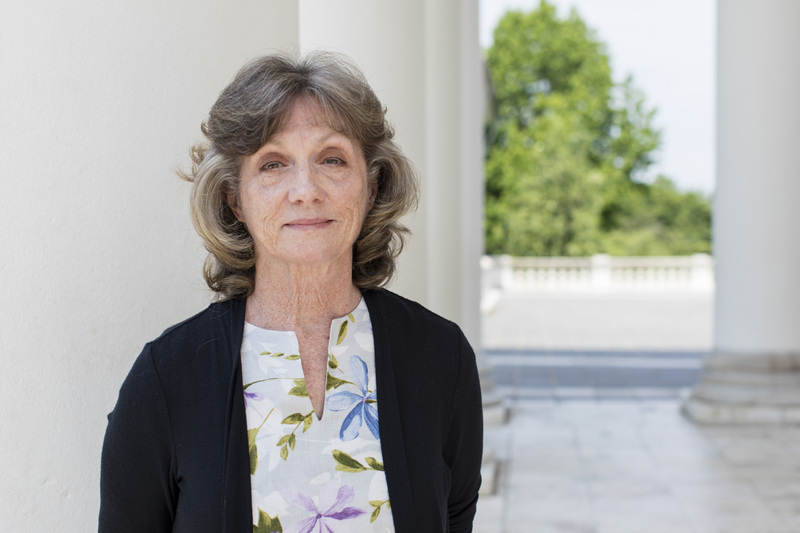 Painter, the first staff member to serve as a care manager in the Counseling and Psychological Services unit of UVA’s Elson Student Health Center, has helped hundreds of students keep or get their lives on track for success since coming to UVA in 2013. Painter’s contributions prompted director Nicole Rusek and the center’s two associate directors, Deepti Athalye and Lillian Mezey, to nominate her for an Outstanding Contribution Award. In coordinating a continuum of care for students, Painter provides support and assistance with accessing mental health resources and other needs, including financial, academic, housing and employment. 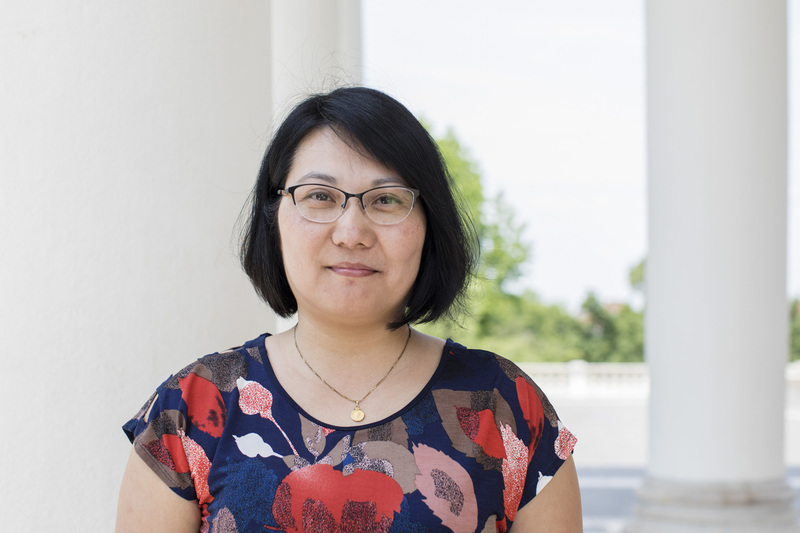 She acts as a liaison with the UVA Medical Center for students transitioning from an emergency visit or a psychiatric stay back into University life. Painter displayed her practical skills in creating a public referral database of mental health providers that is easily accessible through the CAPS website and can be searched any time. “So far, this new database has both attracted new providers in the community to join the database and allowed students 24/7 access to immediate referrals,” her nominators wrote. “Since joining CAPS in 2013, Karen has served in her role as care manager with a high level of independence, creativity and clinical competence,” they wrote. She has enthusiastically joined new initiatives, such as serving on the newly formed Student Health Substance Abuse Treatment Team and on the Transgender Care Team. Perhaps even more important is Painter’s ability to reach others. Her fellow nurses on 5 Central nominated her on behalf of patients, their families and other health care team members, they wrote. The 5 Central floor houses the adult medical-surgical and digestive health unit. Richardson displays thorough expertise and professionalism in her care of patients, but her compassion and dedication go far beyond that, wrote her nominators, who provided several examples. For instance, when an elderly man was having surgery for colon cancer, Richardson noticed how worried his wife was about him. 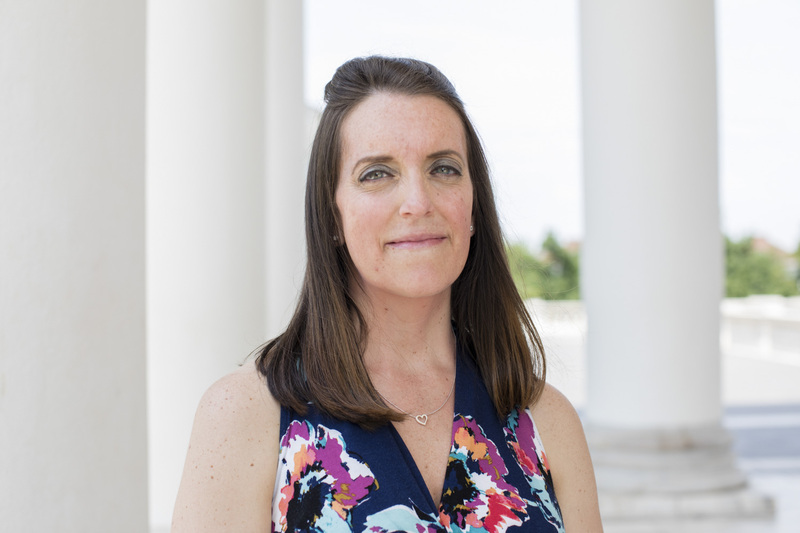 An alumna with undergraduate and master’s nursing degrees from UVA, Bethany Sarosiek became the development coordinator for the Enhanced Recovery After Surgery Program in 2014. Enhanced recovery includes developing standardized protocols for hospital care before, during and after surgery, based on evidence-based practices that accelerate recovery. She has led the process of rolling out the program for a range of surgical procedures. Sarosiek’s coworkers who nominated her wrote that she “exemplifies the characteristics of a servant leader. She is not only inspiring, but aspiring. 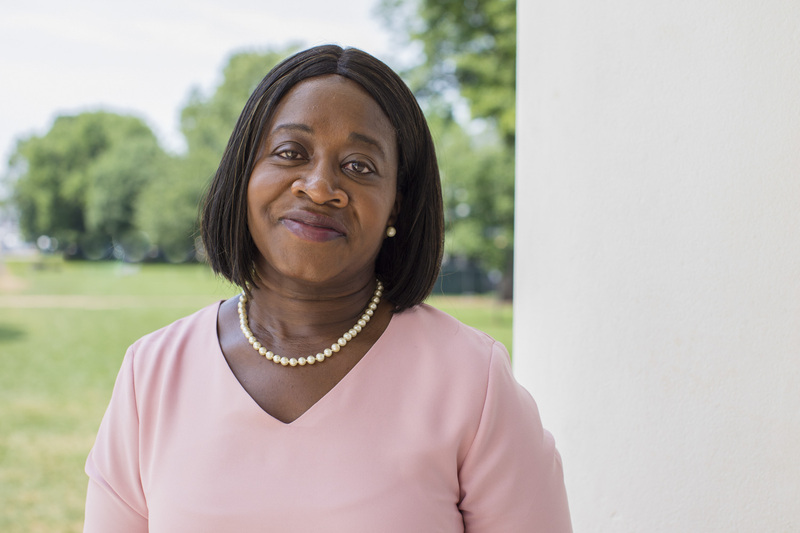 It is Bethany’s passion, connection and contribution to the University’s mission, vision and values that make her such a great leader. In fact, she is recognized throughout the institution as a leader, a trusted colleague, as well as a staff and patient advocate. “Building a culture of respect, collaboration, improvement, readiness and learning with her team is her mission,” they wrote. Committed to professional growth, Sarosiek is regularly invited to speak at national conferences about the successful components of UVA’s Enhanced Recovery After Surgery Program, which began in 2013. As assistant dean of academic operations in the School of Nursing since 2013, Abby Self has “a blend of humility, integrity and leadership that has won the respect and admiration of the School of Nursing community,” wrote her nominator, web designer Joe Nasevich. He said he originally wanted to nominate her for her work on “single-handedly” rewriting all the academic pages last summer for the redesigned School of Nursing website. In addition to her own work and the additional task of rewriting the most heavily trafficked pages on the school’s website, Self also took over the responsibilities of a co-worker at the time. Then Nasevich started asking colleagues for their input on working with Self. Her accomplishments and the matching praises mounted. “Abby has touched every aspect of the school’s academic programs from admissions to policy, and her actions have positively affected every student and faculty member at the school,” he wrote. 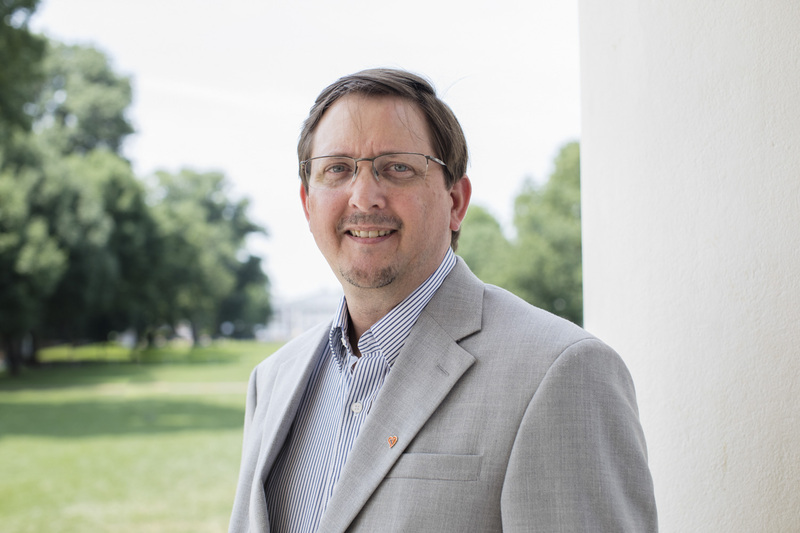 Matt Stanley, the director of administrative systems in the Office of Information Technology at UVA’s College at Wise, brought the school into the 21st century, wrote his nominator, Walter K. Gibson, who serves as assistant director. As database administrators, Stanley’s and Gibson’s jobs are to keep all the systems that students, staff and faculty use for grades, classes, ID cards, meal plans, dining halls cash registers and admissions connected and running smoothly. Now they work more efficiently since Stanley made some important changes over the past year. He overhauled the college admissions and payment system to make online payments easier for the students and their parents – and less expensive for the college. In addition to securely accepting tuition payments, the new system also processes one-time payments for other activities, such as the wellness center’s membership fee. And it works with the main student information system. This has made everyone’s lives and jobs easier: “Matt has been, and is still, the driving force behind this accomplishment,” Gibson wrote.